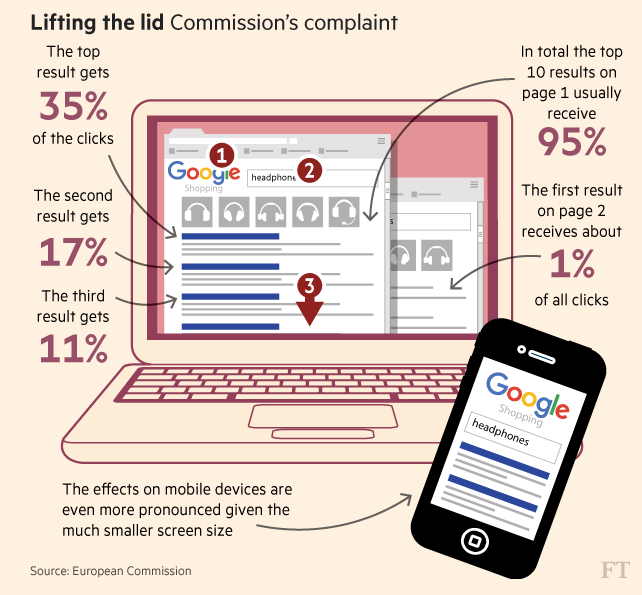 HelpHound Blog: Google fined €2.4bn - so what? Google has been fined by the EU for abusing its dominant position in search. In short: for promoting its own services above those of its advertisers. The company has 90 days to make changes and must “refrain from any measure that has the same or an equivalent object or effect”, the commission said. Does this have any implications from the point-of-view of reviews? Even the most cursory glance at any search will show Google reviews, very prominently indeed. Yelp and TripAdvisor have been complaining about this for many years. 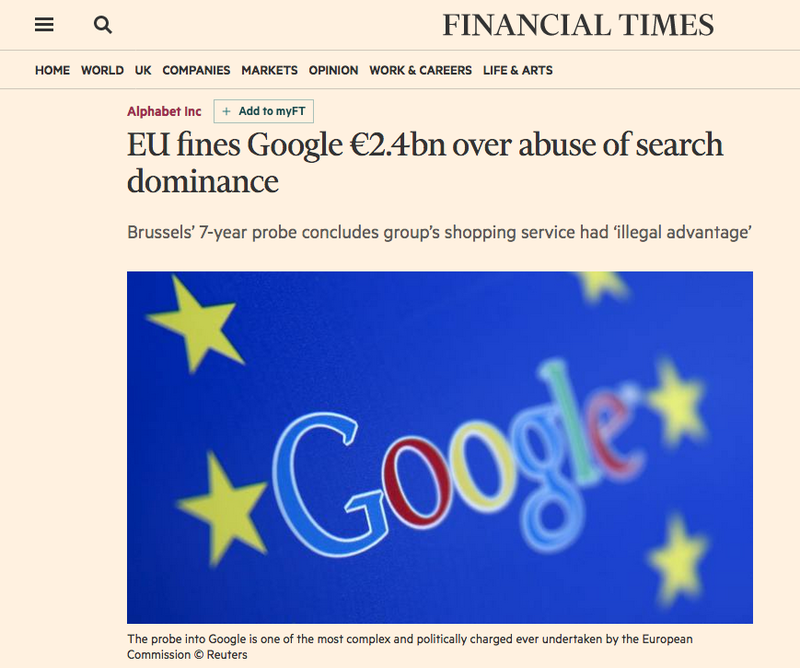 The EU did not directly criticise this aspect of search (the focus was predominantly on Google's comparison shopping service), but logic says that they will be keeping a close eye on it. And so will we. Google have 90 days to react to the Commission's finding (ignore the comments already appearing in forums saying things along the lines of 'Google's so big they can tell the EU to get lost' - they cannot and they will not) and make changes to ensure they are compliant with the ruling. When they do we will update you. If anything indicates a change of strategy we will advise you accordingly - that's why you engaged a review manager, not a single reviews solution that can be great one day and redundant the next.